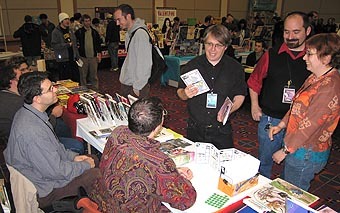 Above: Steve Lieber chats with Scott McCloud, Kip Manley, and Jen Manley Lee. 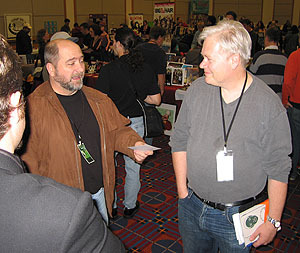 Above: Matt Wagner regales Paul Chadwick. 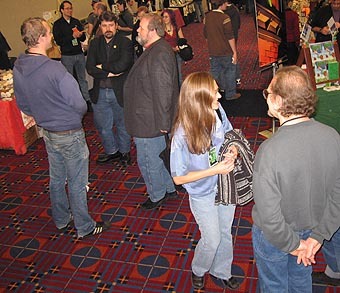 Vertigo editor Bob Schreck and Dark Horse editor Diana Schutz schmooze after arriving unannounced. Sneaky Bob! He decided to come in from the East Coast for our 11th annual Halloween party and make a vacation out of it. 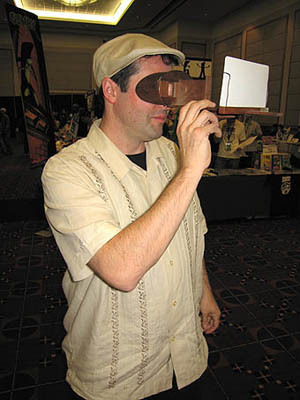 Left: Shannon Wheeler experiences the amazing Boilerplate Stereopticon. Sadly, we learned this weekend that some people can’t see the 3-D effect. What else was Anina and Paul up to this weekend?